Cutting the long head of the biceps tendon in shoulder surgery: for labrum tear, along with rotator cuff tear and just for shoulder pain, has become increasingly commonly performed by Orthopaedic shoulder specialists. While results are often good I have long believed that there is no reason to sacrifice a functioning tendon – and it is a procedure that I almost never perform. 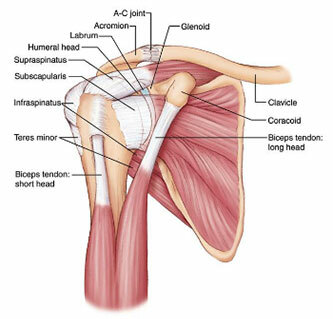 Rather I concentrate on repairing the damaged tissue, labrum or rotator cuff usually while not cutting the biceps. In fact in an orthopaedic journal on shoulder labrum tears that I was asked to guest edit, we presented our labrum surgical outcomes without biceps sacrifice and they were quite good. This new study shows that possible fracture of the humerus is yet another reason to avoid one of the most common techniques for biceps tenodesis.